The Kookaburras have been very pleased with the results of our Amazon affiliation. By Amazon shoppers using the link on our website www.atlantafooty.com or their phone (see below) the Kookaburras received a significant financial gain, money that goes directly towards our purpose, the promotion of Australian Rules Football and Cultural exchange in the Atlanta area and around the USA. As a Non-Profit organization we rely heavily on donations, sponsorships and programs like this to fund out activities and spread the word of our great game. We have been lucky enough begin to see the Amazon program be of great benefit to us with the help of supporters, business owners and managers using our website link when making regular or one off purchases on the Amazon platform. With your help it can of course be a lot better. 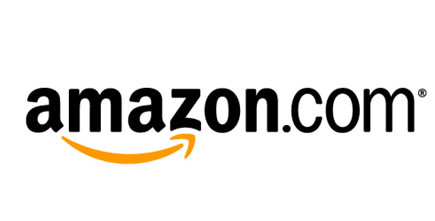 We are looking for managers and business owners that regularly use Amazon to support their business to use our website link when making their purchases. Of course general consumer purchases, even for low cost items such as music, household goods & other media can have a significant impact in volumes. We encourage anyone at anytime to support us by making purchases through us. Remove any Amazon icon you might have your home screen. Open http://amzn.to/2zEKU91 in your phone browser. 1 - Tap the bookmark icon. 2 - Tap on 'Add to home screen' When the bookmark options appear, tap on 'Add to home screen'. 4 - Shortcut should now appear on a home screen. The Good: The Kookaburras receive a sales commission for nearly every sale made though our website or phone link. The Bad: You have to use the link each day you make a purchase. So in essence we need your assistance to not only remember to use our link but also find business managers and business owners that use Amazon each week or even day. If you have any questions about the Kookaburras, this program or how we can continue to improve its effectiveness please contact us.